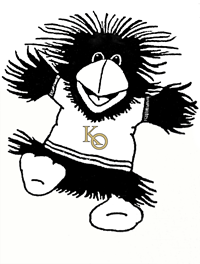 The Keystone Oaks School District will host a Kindergarten Open House for parents/guardians of students entering Kindergarten for the 2019/2020 academic year, on Thursday, March 28, 2019 beginning at 6:30 p.m. at Dormont Elementary School. The Open House is for parents/guardians only. At the event, attendees will have the opportunity to learn about the District’s Full-Day Kindergarten program and curriculum, student screenings, orientation, and the transition process. Please click here to RSVP for the Open House. Proof of immunizations or medical/religious exemption form. A list of required immunizations is available on the District’s website. Please contact Mrs. Melanie Streitmatter, Registration Secretary, at 412-571-6162 or via e-mail at streitmatter@kosd.org to schedule an appointment. The Keystone Oaks School District is asking all families that are currently living in the District and have the required paperwork to register by April 30, 2019. Once families have turned in hard copies of the required documents, they will be able to sign-up their child for a screening appointment that will take place in June. More information about New Student Registration is available on the District’s website.